As I am eating healthier I am eating alot more salads. But I am not talking lettuce smothered with ranch dressing, bacon bits, and croutons. I am talking real salads with a variety of fruits, veg, nuts, and whole grains. When you start making these types of salads the old bottled dressings are out. They are expensive, plus they full of things that I do not need in my body. They are usually calorie laden and full of salt and sugar; much of it corn syrup. (Yes, there is corn syrup in many dressings.) You may think that a lite dressing is better, they are usually even more loaded up with sugar and salt to make up for the lack of flavorful oils, not to mention they are all loaded with preservatives. Do yourself a favor and begin experimenting with making your own dressings, your body will thank you. There was a time when everyone made their own dressing for salads. Now days, many people think that it is something you buy, and making your own seems rather hard and impossible. Nothing is further from the truth. Making your own dressing is as easy as 1, 2, 3. 1. ACID This can be vinegar, lemon, lime, orange etc. I love balsamic vinegar, or rice wine vinegars right now. 2. FAT This can be olive oil, grape seed oil, sesame oil, pumpkin seed oil, avocado, ground nuts, etc. 3. FLAVORINGS This can be salt and pepper, garlic, onion, herbs, spices, mustard etc. For sweetness, honey, jam, or maple syrup can do the trick. Whisk ingredients together and you have a salad dressing. The amount of fat to acid can vary upon taste. I know one of the standards that it taught is 2 parts oil to 1 part acid. I find that I like it a bit less oily, I tend to go equal or even opposite of that with 2 parts acid to one part oil. experiment until you find what you like. Experimenting with flavors is part of the fun in cooking. 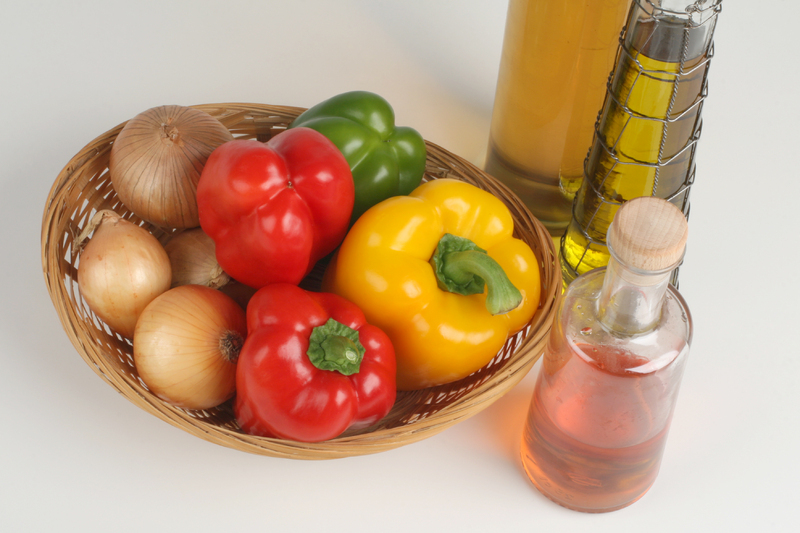 Here are some examples of how easy salad dressings can be. This is good served on a bed of spinach and fruit, like strawberries and Mandarin oranges. Top with some nuts, and maybe some Parmesan cheese, it is lovely. whisk or blend everything together in a blender and serve on your favorite salad, or use as a dip for egg rolls etc. I hope you will begin to make your own dressings. It is so easy and it makes for very happy taste buds. Happy cooking. Thanks for teaching me. I eat a lot of salads. I haven't found any homemade dressings that I like yet. I recently posted some recipes. They are so easy, and I love being able to pass them by in the grocery aisle. So much better for you, too. Enjoy! This looks fabulous! I can't wait to try some of your recipes. Thanks for sharing. this is awesome! your recipes look great, can't wait to try them as we eat a lot of salads! I only make my own dressings now. I can't believe I ever bought them. It is amazing how once you start making them, you get comfortable just throwing ingredients together really quick. I'm including this post in my monthly feature wrap up for the Wednesday Fresh Foods Link Up - hope to see you there! Great Salad Dressing! Your recipe is fabulous and thank you so much for sharing with Full Plate Thursday. Have a great weekend and come back soon! Your recipes sound wonderful! I often make my own too. :) Thanks for sharing on The HomeAcre Hop! Stop by to say hi to our new co-host and share more of you great posts!